Can you believe Halloween is upon us? I had to change up from my fall leaves wreath so to ring in the start of this spooky month I thought I would share my first Halloween project, a pretty wreath gone bad when the rats stopped by for a visit! 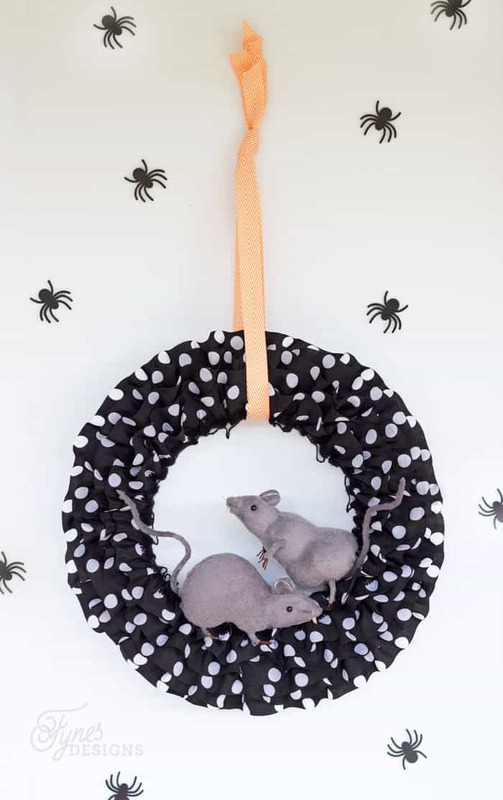 This rat wreath Halloween decoration is a super easy craft you can put together with just a few supplies. 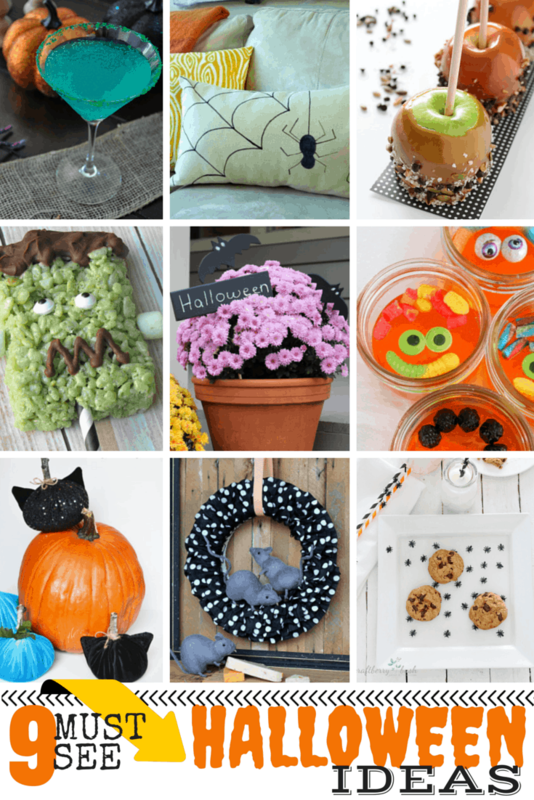 Plus, my Creative Canadian blog hop group has teamed up to bring you 8 other must see Halloween ideas! 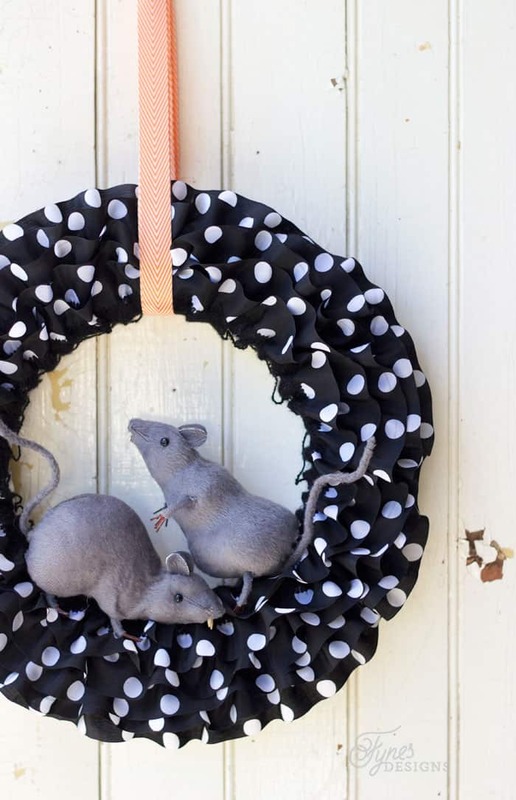 Wrap the styrofoam wreath with the strip of scrap fabric, all the way around. This will allow you to use your hot glue gun to attach the yarn, and also reduce the styrofoam mess. Starting on the outside edge of the wreath hot glue the silk yarn the the wreath. When you get back to the starting point continue around overlapping the edge of the first strip. Continue until you reach the inside of the wreath form. 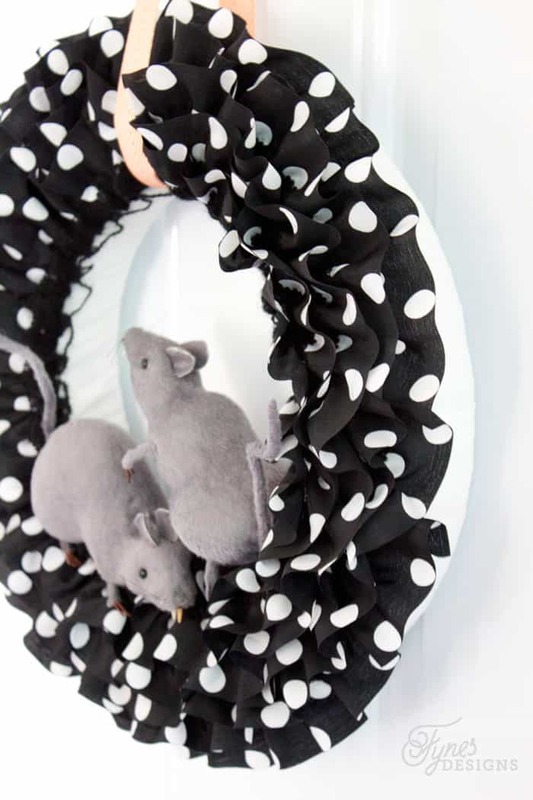 To attach the rats to the wreath you will use the corsage pins. 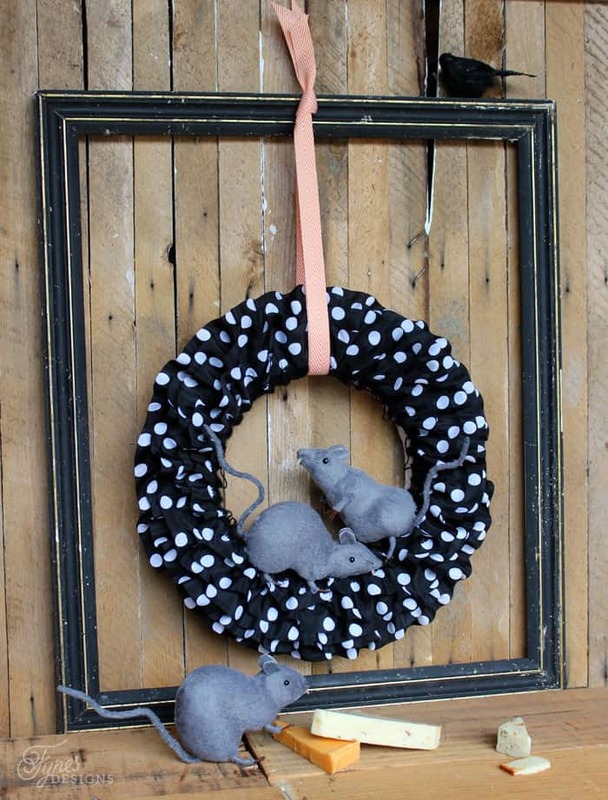 Arrange the rats as desired, on the reverse side stick the large pins directly through the Life like Rats into the FloraCraft Foam wreath. 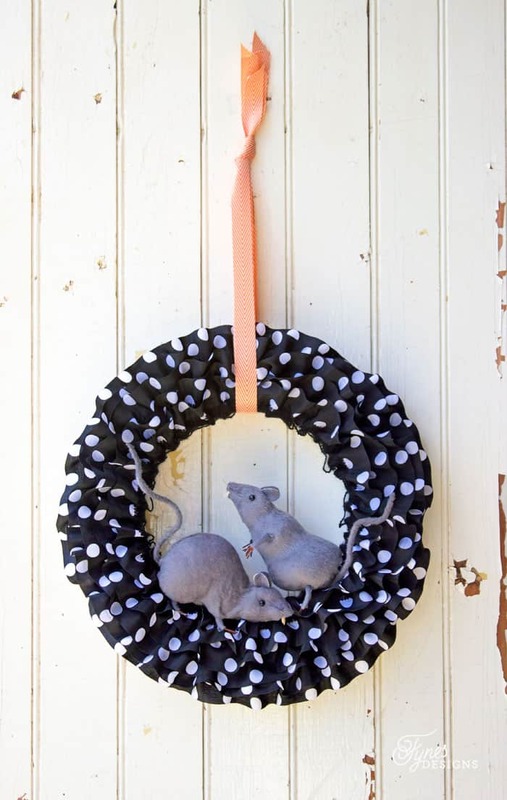 Loop a 24″ piece of May Arts Chevron ribbon through the rat wreath and tie in a knot leaving approximately a 2″ end. 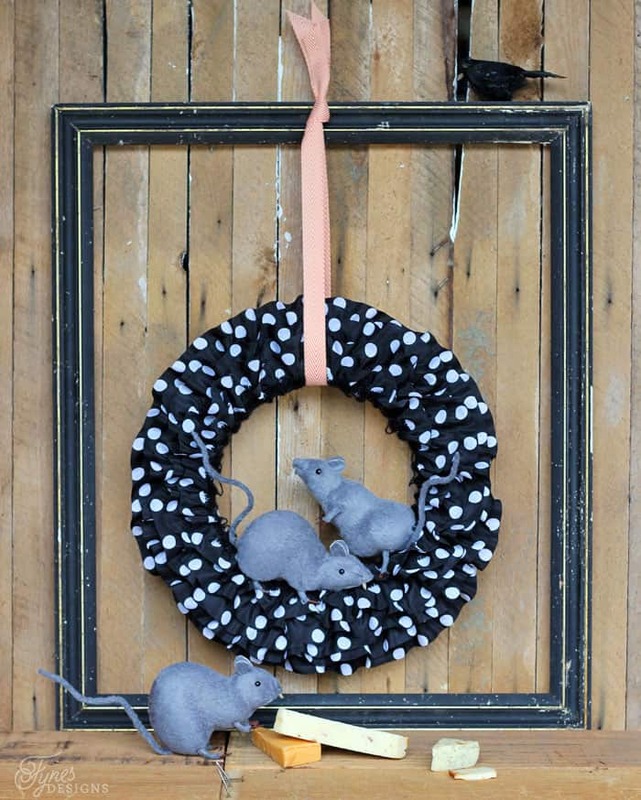 I wanted to create a pretty Halloween wreath that looked as if the rats invaded it… don’t they look hungry?! I think if it weren’t for the teeth, the rats would almost be cute! OH so cool!!!!! The wreath is so creepy.. in a good way of course!! I would never have thought of making a wreath that way! Thanks so much for the tutorial Virginia!! Pinned! Oh Virginia, this is so cute but totally gives me the creeps!! I am terrified of rats…last night I heard one scurrying around in our garage (we have a hole in the garage door my husbands NEEDS to patch)! AHHHH! So your wreath is very appropriately scary for me:) lol! This is so fun Virginia! I love that it’s perfect for Halloween but not too spooky! Love that polka dot! 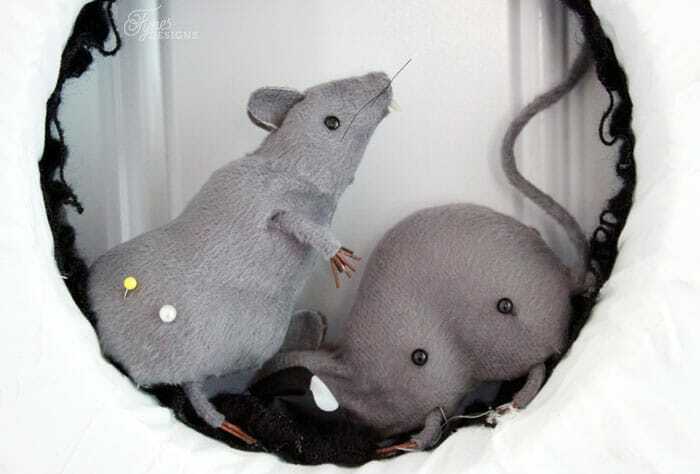 So the rats would probably creep me out a little, but for Halloween, they’re perfect. Then, please, take them down, K! Hahaha! So clever and cute, Virginia. It makes me shudder, and then smile. 🙂 Thanks for sharing; Pinned! Those rats are just…. ugh! It’s perfect. Rats freak me RIGHT out, so it’s perfect for Halloween! So pinned. You can make even rats (gross) look cute. OMG! Virginia, that is amazing! We always use rubber rats in our Halloween decor. Now I can think of a hundred ways to use them!! I’m not much of a real rat fan, but these little rats are adorable! Ha ha! These are probably the only rats that haven’t given me the creeps! Love everything about this fun wreath! So cute, V! Please stop by and share your wreath with us at our Wake Up Wednesday link party! Ahh so creepy yet so festive! I love this diy! Thanks Haley, we’re loving it creepey-ness! Pinned! Thanks for sharing with us at #Throwback Thursday link party. Please join us again tomorrow and invite your friends.